Quick VIT Update: After 3 years of venom immunotherapy I insisted on a blood test to gauge my progress. Of course it was an exercise in you-have-to-educate-yourself-because-the-medical-professional-will-be-______ [insert unkind words]. While waiting for the results of my $195 RAST test to come in, I did some online research and this is what I learned. Your body produces immunoglobulin E antibodies (IgE) in response to exposure to an allergen, and allergy blood testing reveals the level of IgE present. Desensitization, in theory, lowers your IgE level with each shot in the arm with a goal of being undetectable or nearly so. In the chart below, you can think of the Class Scoring as reaction potential, lower numbers being better. Note that I say potential, as reactions just are not predictable. A person could have <1 kU/L (see chart below) and still suffer a severe allergic reaction. Armed with this info, when the call came that I was still "very" sensitive to honey bee, I didn't feel like I needed to ask many questions. My actual test results were 16.2 for honey bee and "about a 1" for the other bees I'm allergic to. While my allergy to paper wasp, whitefaced hornet, yellowfaced hornet and yellow­jackets is moderate, the allergist is recommending (given my not-covered-by-insurance situation) that I continue with just honeybee VIT. And that I refill my Epi-Pen prescription ($615 today, according to GoodRx.com). And the single-venom antigen cost? Self-pay cost is $250 (less 20% for paying in cash) for 10 doses. If you want to check with your insurance company, the CPT code for a single venom is 95145. I initiated the switch to Kaiser-Permanente and discovered a) their allergy department handles immunotherapy completely different from Colorado Allergy and Asthma Centers, and b) I am economically better off sticking with CAAC. CAAC makes antigen vials just for me. Every 6 months I pay for my own set of vials in the fridge that they draw from. I pay for each injection but there is no office visit fee. KP creates a "pool" of antigens that all their patients draw from, and those patients are not charged (currently was emphasized). However, each patient pays for their injections and office visits, which on my high-deductible plan is a high fee. It works out to $45 at CAAC versus $145 at KP per injection. I need to investigate further something the KP allergist mentioned. He said, "Checking a baseline tryptase is something we do for almost all patients with a history of hymenoptera anaphylaxis. Patients with mastocytosis (the condition for which tryptase is a marker) are at risk of having reactions to bee stings and having worse systemic reactions to venom injections--so we just look for it to be thorough." Do you have any idea what that all means? Yikes, that's a lot of money. Have you tried contacting the companies that manufacture them directly? My husband works in the pharmaceutical industry, and he says that many if not most companies will provide treatment for free or at greatly reduced cost. The contact info for Epi-Pen (Dey) and Twin-Ject are below. I don't know who makes your antigen. Probably ALK - Abello A/S or Jubilant HollisterStier LLC. BTW, how is the self-administration working out? Sorry to hear that you have to continue the honeybee VIT, but glad you are doing better with the others. Here's hoping that the honeybee sensitivity is down on the next check! Thanks, @Don. 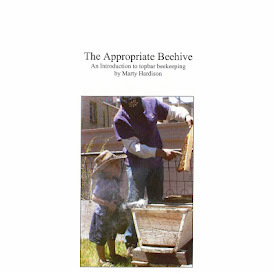 I'm a bit disappointed because I miss beekeeping SO much. But blogs like yours and Julie's definitely help. Vicariously is better than no bees as all. I haven’t started self-administration yet, @Julie D. I thought it might be wise to assess my risk before asking a friend to take it on. Marty lives a bit “out there” and proximity to Urgent Care is a consideration. Thanks for your suggestions and info. I’m certainly open to exploration and making a few phone calls. Epi-Pen’s manufacturer, Mylan (formerly Dey), offers a “$0 Co-Pay savings card.” It covers up to $100 of your co-pay. My insurance plan doesn’t have a prescription co-pay so $100 off of zero = $0 savings for me. Since Epi-Pen is so expensive for cash patients, I investigated a generic option (albeit a while ago). TwinJect, now known as Adrenaclick, is it. It’s much more affordable but it’s harder to get. The pharmacies I checked with have to special order it, and by the time they get it the price will have changed. Buying epinephrine autoinjectors is like buying a plane ticket; you just never know what the price will be. I’m surprised at today’s price of $141 for Adrenaclick. Even if it doubles, it’s way less than Epi. But my best bet will likely be my sister. She has food allergies and her insurance coverage is far better than mine. Last year her prescription for Epi cost $15. My antigen cocktails are made locally, that’s all I know. One day I went to get my shots, and they asked me to come back in a half hour. The refrigerators had failed over the weekend and they had to remake hundreds of antigens. I’m honestly torn about just staying on as a self-pay patient with my current allergist, or going through Kaiser-Permanente which means starting as a new patient with a yet to be selected physician. We're working toward moving out of CO… and lazy is just so appealing these days.